"Very grateful for Greg Hill and Associates! He was very helpful throughout my case and always kept me up to date on the process. Mr. Hill is very professional and knowledgeable! I recommend Greg Hill and Associates to anyone who needs legal services! They are phenomenal at what they do!" 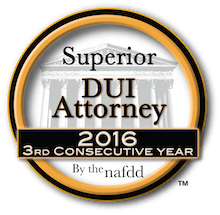 "Mr. Hill recently was my attorney for a 3rd DUI I got in the beginning of this year. I hired him due to I was going to hire him for my second. Mr. Hill was very, very attentive to any questions I had. He answered any time I reached out to him for anything. He was always great to respond. He tried so hard for me and fought hard for me. He searched any legal way to get this 3rd DUI to be dismissed or brought to a lesser charge. In the end, it didn't go our way, BUT that doesn't take away from Mr. Hill's ability. He was a great attorney and I'd hire him again in a heartbeat (not trying to though because I don't want anymore legal problems). In the end, he deserves more stars than 5. Thanks again Mr. Hill for everything. " "I hired Greg earlier this year when I was arrested and charged with a DUI. He helped me out a lot and reduced the charges and resolved my case as a dry reckless, which I am very happy with. We also won at the DMV hearing." "Thanks very much Greg. I appreciated all your effort." "You are awesome....I am so excited that you are handling my case. I really feel as though your finest efforts are being put forward and really feel that you will prevail on my behalf. I want to thank you for caring about me." "I apologize for the amount of questions I sent your way, but I think you understand how people feel--especially if this is their first time. Thank you for taking the time, despite my case clearly not being an easy one, to answer all of my questions and then continuing to push hard on my behalf all the way until the end. The waitress called the police because she smelled alcohol on my breath and she thought I was really intoxicated ...but I was more tired from all of the long days working out of state. In California you can be charged with a DUI if someone witnesses you driving under the influence. Hence I was charged with a DUI while sitting and enjoying a meal I was not from California and so I didn't know who to call or what to do....."
"I contacted many attorneys over the phone and tired to get a feel for who was going to best represent me in this situation I got myself into....And so after talking to a lot of other attorneys I decided to go discuss my situation with Greg Hill and that was the smartest thing I had done that year .... We discussed everything and I felt that he would be just fine to represent me...I felt (at the time) that I was an out of town guy and I would get a severe penalty and my life would be ruined for my mistake... AND that Greg wouldn't care....why would he care he would never see me again... BOY WAS I WRONG......"
"I will not share with you, what all he did and all of the legal maneuvers that he did on my behalf. But he got me almost completely off of all charges and what i did have to do, was done online and I had plenty of time to accomplish it. What Greg Hill did for me I do not care if he tells you just have him refer to this review for my permission and if you do not use him for your Legal matters It will not be the smartest thing you did all YEAR lol." 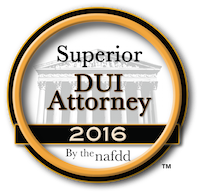 "Very helpful to out-of-state residents that receive a DUI in CA." "You are the best Lawyer that I have ever dealt with. I am past president of the Elks (lots of Elk Lawyers) and you far outshine them all. Yes, one car I would drive with an IID and the other car that is now only in my husband's name, I would not drive or legally could I drive it. I don't see how far away the car is parked has anything to do with it. Does the DMV bring a tape measure to my house and say " it needs to be 50 feet more away." The point is as you stated the car is no longer owned by me, and would never have permission to drive it during my 5 month IID requirement." "Thanks for all your hard work and advice you have given me throughout my case."